Automatic vision systems are used for teaching programs and correcting product alignment with fiducials. A standard system uses a grayscale camera that comes, with various lensing options, to meet your process requirements. The great thing about this system is that its lens options can be customized to decrease or increase the depth of field and field of view. With that, the core components of an automatic vision system includes a processor, camera, lens, blue/red illuminator, and dark field. Some of the popular add-ons include fullview illumination, ClearVu lens, high depth of field, and 2x extenders. Next, any image that can be viewed by the lens configuration and the camera can be used as an alignment image. You should keep in mind that automatic vision systems are not limited to using traditional bowtie or cross fiducial shapes. These systems can capture time, about 0.1 seconds per image. In this post, you will find out more about an excellent automatic vision system that can make the above tasks easier. Introducing the Starrett Galileo Series AV300 Automatic Vision Systems. Starrett is recognized as a leader in the metrology industry. It has been designing and manufacturing fine precision tools for over a century, since 1880. Today, the L.S. Starrett Company has manufactured over 5,000 variations of saw blades, measuring instruments, gages, and other precision tools. The brand’s products are well-received by a wide variety of consumers, professionals, and industrial markets worldwide. 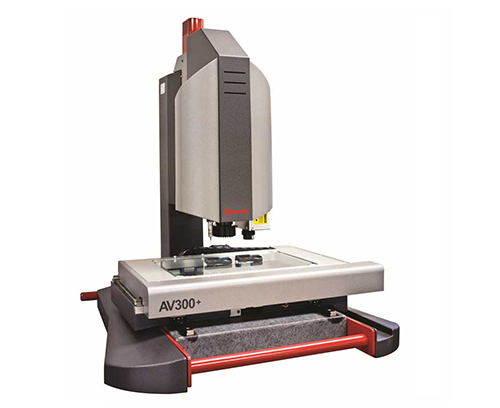 Get Starrett Galileo Series AV300 Automatic Vision Systems from Willrich Precision! At Willrich Precision, we carry high-quality automatic vision systems such as the Starrett Galileo Series AV300 Automatic Vision System. Since our inception, we have acquired over 40 years of experience in the metrology, gaging, and inspection fields too. No matter what type of automatic vision system you are looking to get, you can always count on our expertise to find the perfect solution for your needs. Next, we understand that budget is a major factor for some of our clients. That’s why we continually strive keep our products priced very competitively. You will enjoy top-notch products and enjoy greater savings down the road. When you shop online at Willrich Precision, you can enjoy complete peace of mind because we have secured our site with the latest encryption technology. This ensures that your personal information is kept confidential at all times. Whether you specialize in the pharmaceutical industry or energy industry, we have got your back. If you wish to know more about the Starrett Galileo Series AV300 Automatic Vision Systems, do not hesitate to talk to a Willrich specialist today! How Will Metrology Evolve In The Near Future?